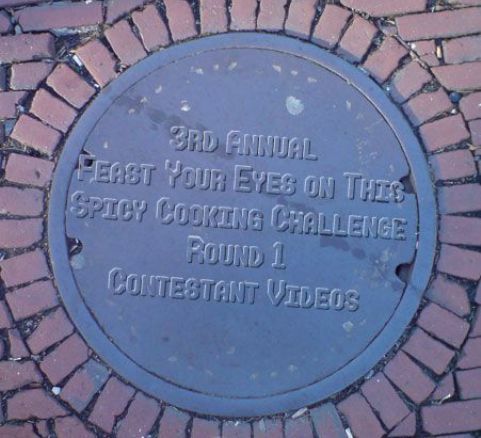 Feast Your Eyes on This: Round 1 Contestant Videos – I Love It Spicy! Okay folks time to put up or shut up. We have the Round 1 contestant videos from our 8 spicy chefs up for you to view. Our judges will evaluate all the video based on 3 criteria- visual pleasing, creativity, and sticking with the rules of the challenge. You will see that most of these chefs are not video editing experts. This being their first round, I want my judges to be lenient on their video efforts. I know quite a few of them had some issues, and I do not want to be as strict with that part of the judging since it should not be a factor. 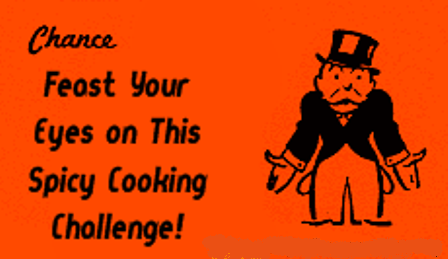 The judges have to decide a winner and a loser for each round, and as you will see the decision will not be easy. Round 1, I gave them 3 ingredients they had to use- hearts of palm, artichoke hearts and Rose wine, plus they also had to add just 2 of the following 7 aphrodisiac food- Oysters, asparagus, strawberries, chocolate, honey, bananas, and figs. They churned out 7 amazing looking meals. There was a conflict about whether it was to be one dish or a complete meal, and I said afterward that it could be either. So we will not hold anyone accountable for just making 1 dish, since that is all they believed they were suppose to make with our challenge. We will have a poll for our viewers to vote on tomorrow morning, so come by and voice your opinion. All these videos are 5 minute abridged versions of their recipes, and many of them will be posting their full length versions on their websites. The winning video will be posted on ILIS once a decision has been made, so you can see how the food was made from start to finish. Enjoy! Sam from Zane & Zack’s World Famous Honey Co.
← Buddah & Sean Go Nuts! looks like it’s off to a bumpy but great start. Quick request for the non-relevant-to-who-wins poll, could you put a quick reference with the person’s name to what that person made to make it easier to vote for the person that made the dish I liked best? I knew which dish I liked after viewing all the entries but had to go back and click on a couple to find the correct one and the make sure I got the right name. Posted on Your are not worthless. You mean the world to somonee. You just need to find out who. And don’t ever try to take your life ever you are loved by more people than you think.